Dr. Harvey O'Keeffe is a board&dash;certified Obstetrician and Gynecologist and is a founding partner of the Center for Women's Health in Langhorne, Pennsylvania. She has been in private practice for over 22 years and has a special interest in menopausal medicine and women's sexual health. Dr. Harvey O'Keeffe has been honored to be listed as a "Top Doc" by her physician colleagues in Philadelphia Magazine and is known for her unique practice style that blends wellness coaching, integrative medicine, and comprehensive gynecologic care. Dr. Harvey O'Keeffe obtained her medical degree from Temple University School of Medicine in Philadelphia, Pennsylvania. She completed her residency in the Department of OB/GYN at Temple University Hospital where she also received the Chairman's Resident of the Year Award. She travels worldwide to educate healthcare professionals about the latest updates in women's health and has been a speaker for University at Sea since 2006. Dr. Harvey O'Keeffe previously co-hosted a weekly medical radio program,"The Medical View: East Meets West," in Philadelphia, PA. She speaks regularly in the Greater Philadelphia area and is passionate about educating and coaching physicians as well as her patients. 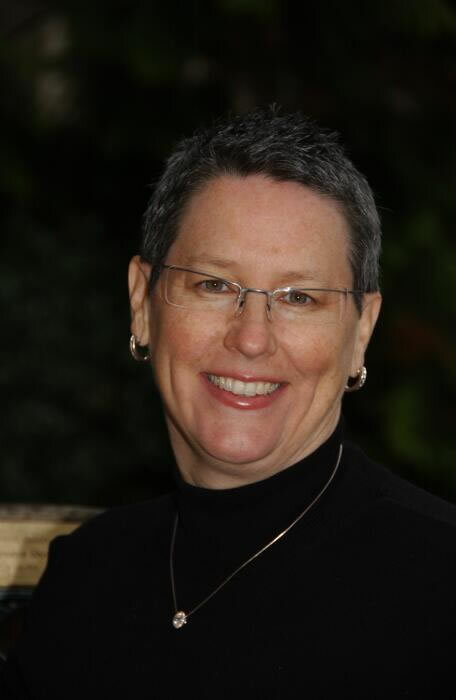 Dr. Harvey O'Keeffe is also a Master Level Reiki Practitioner and she incorporates various modalities of integrative medicine in caring for her patients. She is actively involved in the Teal Tea Foundation dedicated to ovarian cancer awareness and clinical research, and is the founder and co&moderator of the GyniGirls, a support group for women in the local community diagnosed with gynecologic cancers. Her humanitarian work includes being a co&dash;leader of an annual medical mission to the Dominican Republic for ten years. Dr. Kuhn is in full-time private practice in Obstetrics and Gynecology at the Center for Women&339;s Health in Langhorne, Pennsylvania where he has been a principal since its inception in 1995. He has reached an auspicious milestone in his career; babies he delivered years ago return to him now having children of their own. Kona, Hawaii - The sun-blessed Kona coast stretches 80 miles along macadamia nut orchards, famous coffee plantations and some of the most important sites in Hawaiian history. The coast is famous for water sports, and the Hawaiian International Billfish Tournament is a world-renowned annual event. Maui, Hawaii - Once the center of the notorious Yankee Pacific whaling fleet, today Lahaina's historic grog shops and ship chandleries have been transformed into fashionable boutiques, galleries and restaurants. Other popular optional shore excursions: a humpback whale search; Haleakala Crater, so vast it could swallow Manhattan, skyscrapers and all; the heavenly road to Hana and the seven sacred pools. 2-Bedroom Deluxe Family Suite - Large Balcony, Living room, two separate bedrooms (one with a king-size bed and walk-in-closet and one with two lower convertible beds) a pullman sofa, two TVs, two bathrooms one with bath and shower. Butler service and concierge available. Approx. Size: 650-607 sq. ft. Owner's Suite w/ Large Balcony - Living room, dining room, private balcony with hot tub, two separate bedrooms one with king-size bed and walk-in-closet, a double sofa bed, CD/DVD library, two TVs, luxury bath with whirlpool tub and separate shower and guest bathroom. Butler service and concierge available. Approx. Size: 676 - 957 sq. ft.
Family Balcony - The whole family will have plenty of room in these staterooms. With enough space for up to four, these staterooms have two lower beds that convert into a queen-size bed, as well as a convertible sofa in the sitting area and one pull down bed. Not to mention a private balcony with a great view. Approx. Size: 178 sq. ft.
Mid-Ship Balcony (BA) - Two lower beds and a sofa bed. The large balcony offers an incredible view. Approx. Size: 227 sq. ft.
Balcony (BF) - These staterooms are forward or aft and are located on a high deck. They can sleep up to three guests and include two lower beds that convert into a queen-size bed, a sitting area and floor-to-ceiling glass doors that open to a private balcony and an amazing view. Approx. Size: 178 sq. ft.
Oceanview (OA) - These staterooms have room for up to four guests. They include two lower beds that convert into a queen-size bed, additional bedding to sleep two additional guests and a picture window with an obstructed view. Approx. Size: 144 sq. ft..
Obstructed Oceanview (OK) - These staterooms have room for up to four guests. They include two lower beds that convert into a queen-size bed, additional bedding to sleep two additional guests and a picture window with an obstructed view. Approx. Size: 144 sq. ft.. Inside Stateroom (IC) - An Inside stateroom is the most affordable way for you to cruise. These staterooms can sleep up to four guests, with two pull-down beds and two lower beds that convert into a queen-size bed. Approx. Size: 132 sq. ft.